September 5, 2010. Tags: Animals, Corgis, Daily What, Dogs, Exercise, Sundog, Treadmill, Youtube. Video. 2 comments. August 27, 2010. 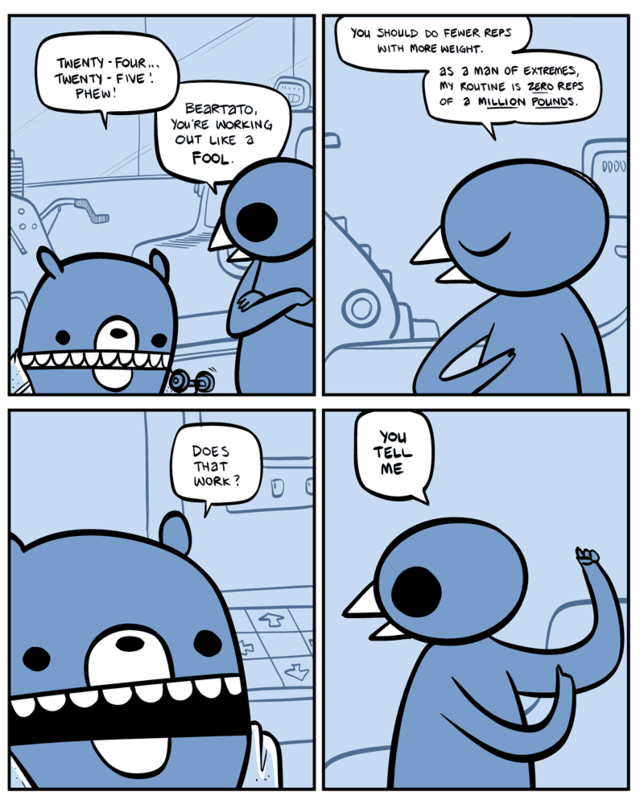 Tags: Advice, Animals, Art, Beartato, Exercise, Extremes, Funny, Humor, Nedroid, Reginald, Sports, Weight Lifting, Yoke. Comics. Leave a comment.